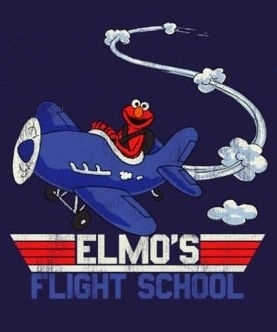 Elmo meets Top Gun. . Wallpaper and background images in the Sesame Street club tagged: sesame street elmo top gun.